The Homosassa River Alliance is a community driven non for profit 501(c) (3) organization whose goal is to focus on the health of the continued development and use of the river. We are concerned about the abuse and overuse of our coastal rivers, springs, and wetlands which is why this group was organized. Our goal is to be the “Voice of the River” and to educate the public on different impacts on the river’s health. Reacting and responding to both the positive and negative situations brought on by the continued development and use of the river. We are assuring its restoration, health and protection for the benefit of future generations. Our tax-deductible membership dues are $10 per person or $20 per family per calendar year. Membership and an e-mail address will put you on our mailing list for notices of meetings, sub-committee concerns, and special events and for the newsletter, Voice of the River newsletter, which comes out at least twice a year. The majority of our work is educational and to do the necessary research to be well informed. We meet in Homosassa monthly on the second Thursday at 7:00pm the Homosassa Civic Club, except July and August. Our April meetings are our annual picnic and wards presentation at Bluebird Springs Park. Education – an all-day training tour of the Homosassa River for third grade students in Homosassa Elementary School. Community Education – we were recently appointed to a three-year term on the Southwest Florida Water Management Environmental Advisory Board, which meets quarterly. Monitoring – members attend conferences, classes and meetings to learn more about protecting the springs, rivers and watersheds and report on their findings at our general meetings. Meetings – we meet in Homosassa monthly on the second Thursday at 7:00pm at the Homosassa Civic Club, except July and August. Community Education – We are examining options for additional protection and restoration resource for the river, such as state Aquatic Preserve designation and establishment of the Homosassa basin as an Estuary of National Significance included in the National Estuary Program. Monitoring/Education – we monitor county and state governmental actions on matters of interest to our Mission, for example, the setting of minimum flow levels for our springs and implementation of the SWFMD SWIN Plan for the basin. We speak up to advocate the river and oppose any degradation of the river’s qualities as Florida Outstanding Waters. Partnership – we work with Citrus 20/20 on Save Our Waters Week developing and participate in judges and cash prizes for the annual student Science Fair. Education – we have donated scientific equipment to the Homosassa Elementary School, the Homosassa Springs Wildlife State Park and to the Academy of Environmental Science. Education – We have worked (and will continue to) with the Citrus County Commission, Marine Science Center and the Florida Wildlife Commission to initiate an education program focusing on the elimination of the disposal of scallop shells into our Outstanding Waterway. Fund Raising – We participate in a joint venture with the Civic Club by selling raffle tickets for the grand prizes of the Homosassa Arts, Crafts & Seafood Festival each November. Restoration - We have planted and monitored mangrove seedlings at the end of the Homosassa River, using a SWFMD grant. 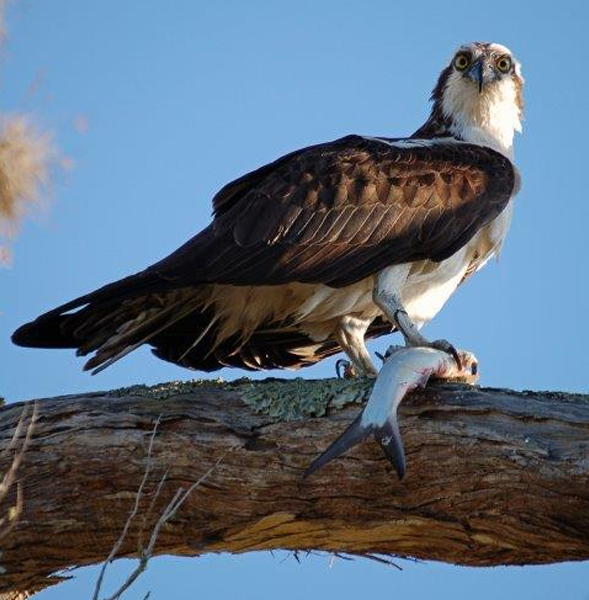 Partnership – We have provided support, including advocacy and donations, for the Homosassa River Restoration Project. Partnership – We are establishing active liaison and support for the Florida FWC Law Enforcement’s boater education and enforcement initiatives. Zoning – We have successfully ended a proposed development on the North side of the river which would have affected the health of the river.